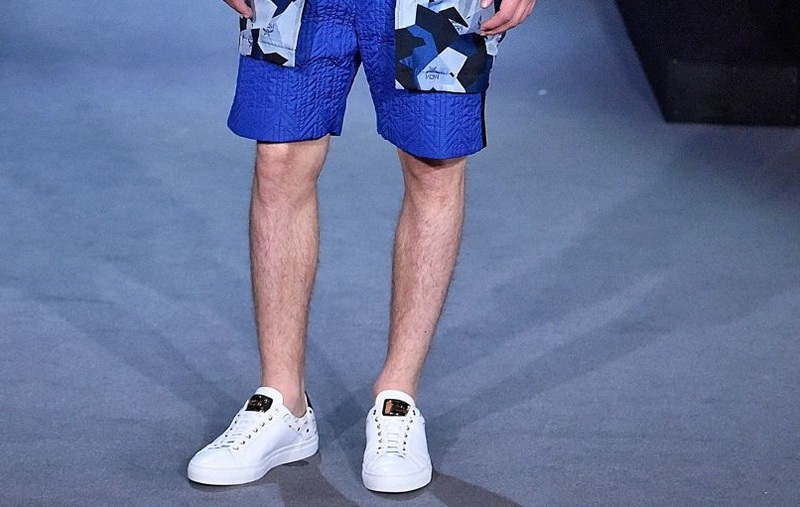 London Collections: Men SS16 a great big thundercrash of high concept garms and style inspirations that can be every bit as overwhelming as it is stupidly stylish. It's chaotic, non-stop, and ultimately too confusing to keep track of on your own. What you require is a defining voice on the matter, to fill you in on all of the threads, trends and tones that you need on your body A.S.A.P. Earlier this week, TOPMAN Design served up a sumptuous slice of seaside nostalgia, including coastal sweatshirts and subculture-inspired threads. Think Mods, Teddy Boys and 1980s Casuals-infused sportswear with a subversive British twist. Plus, loads of dolphins, ice cream and mermaids - is there any way this trend could possible fail? Despite an all-out assault on the fashion cred of bucket hats by bonce burn-fearing England fans at the Euros, the nineties staple is still going to be a big part of your 2016 wardrobe (or wherever it is you put your hats. Drawer? Box? Lampshade? Fine: it's going to be a big part of your 2016 lampshade). Barbour have been delivering bucket hats by the proverbial bucket load during LCM. Cop one of their offerings later this year. Nothing like a pair of box fresh, ready-for-ruin white shoes, is there? No, there certainly is not. Famed designer and Kanye West collaborator Katie Eary is determined to deck you out in printed designs. Obsessed by it, you could say. It consumes her (maybe). And that’s why her show was packed with swish styles like these. Keep a look out for more adventurous designs to hit the high street as people start to bore of their standard oxford collars. Topman Design and Feng Chen Wang have been busy filling the catwalks with stone. Not stones, of course - that would be inconvenient to say the least. We're talking about the colour. Topman's stone tailoring is a sight to behold, and Astrid Andersen mineral toned oversized designs has inspired a whole lot of excitable yapping in the fashion world. Well, not exactly. Paul Simon is top of the album charts, after all. But punk-inspired threads have been all over the Coach show at LCM last week. Topman have given you a perfect excuse to blare this from your bedroom/car window/smartphone on repeat for the whole summer. And for that, we must be grateful. J.W.Anderson has long experimented with his hybrid of boy/girl style, and safe to say his gender fluid offerings are making noise at LCM. Combine that with the fact that celebrities like Jayden Smith are donning women's clothes, and it’s clear to see that we’ll all be crossing the shop floor gender divide pretty damn soon.